It’s so easy to imagine the Chateau as was 200 years ago whilst sitting in the courtyard, that once housed the stables, now the bar, the barn, now the restaurant, and the stable boys’ lodgings, now the Children’s Club. Original features can be found throughout the parc, including unicorn shaped horse tethers, the original moat that once guarded the medeival fort, and the walls of the old Soup and Herb garden that now surround the tennis court. All the features lend to the air of faded grandeur that envelopes the parc and its vast grounds. 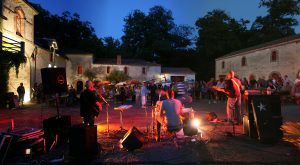 Chateau la Foret is a living history, where once there were farmers tending to livestock and crops, now there are families tending to BBQ’s and games. 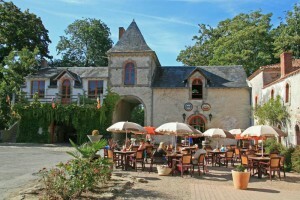 The courtyard area of the Chateau is still very much the heart of the parc and is a hub of activity throughout the day, with children playing on the bouncy castles or in the games rooms, whilst on an evening entertainment including live music can be be found outside the bar area, or in The Orangery, as well as Welcome Drinks every Sunday. 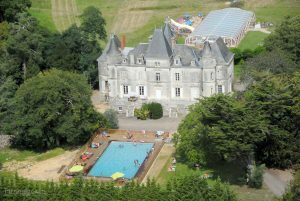 Children and teenagers are well catered for with daily activities run by the parc, including cooking classes, arts and crafts and sports tournaments. 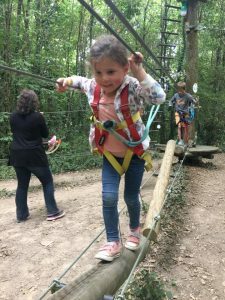 Not to mention the swimming pools with slides, as well as the award winning Le Grand Defi outdoor action adventure centre. One of the amazing things about Chateau La Foret, is that adults aren’t forgotten either. The outdoor pool provides a haven of relaxation, whilst the parc also provides morning activities including yoga, crossfit and massages. If you prefer dining out, there’s plenty on offer here too. Every evening the restaurant has Daily Specials, including moules, tex mex and roast pork. If you prefer a la carte, their menu caters for most tastes and includes sumptuous salads, pasta dishes, homemade pizza and children’s dishes. The take-away Pizzeria is ideal for those days when you don’t want to cook, but want to eat in the privacy of your own terrace, or eat in the courtyard whilst enjoying the evening entertainment. The Lakeside Creperie Cafe is ideally situated for pool days or if you’re taking a break from Le Grand Defi. 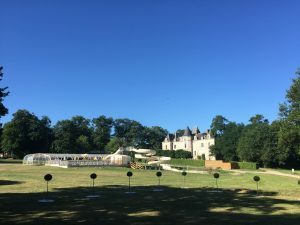 It’s fair to say, everyone who visits Chateau La Foret, falls under its fairytale charm; but don’t just take our word for it……..